You are here: Home > Meet Our Summer Camp Directors! Meet Our Summer Camp Directors! Summer camp at CNGF is still going on until August 7th! One day sign-ups are available for $75 per day with weekly pricing available on the website at http://middlebrookcenter.com/elsee/events/category/camp/. Camp is offered in morning and afternoon sections with mornings including lunch. Come and experience a STEAM education, sustainability, and the environment in a native California garden! Nina is excited to return to San Jose and join the CNGF team for the summer to spend time with our youth explorers in the Middlebrook Garden. 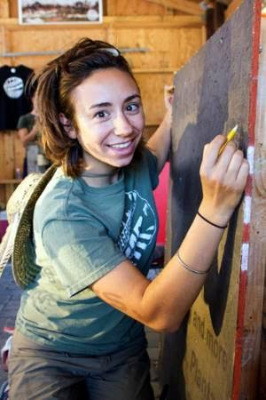 During the school year, Nina is an Outdoor Science Teacher with the Los Angeles County Outdoor Science School in Wrightwood, CA. 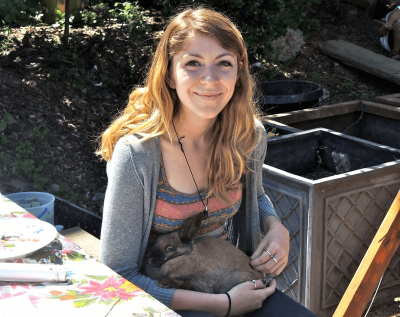 Previously, she served as an Education Coordinator at Veggielution Community Farm in San Jose. She enjoys teaching science concepts and skills through gardening, cooking, and outdoor exploration. Come say hi in the Middlebrook garden starting June 22nd! A sophomore at San Jose State University, Ferrin leads the Saturday kids activities. She is majoring in Environmental Studies and has had years of experience working with kids: as a nanny and after-school teacher. She is very passionate about the environmental field and is excited to begin work in the garden! Her main goal is to build on the interests of the kids, and introduce them to new and exciting ideas and concepts. The activities will not be rigidly structured, but instead, will allow the kids a fun and interactive setting to ask questions and learn more about the environment and sustainability. Sign up for our upcoming summer sessions TODAY at http://middlebrookcenter.com/elsee/events/category/camp/ and have a great time with our lovely camp directors!